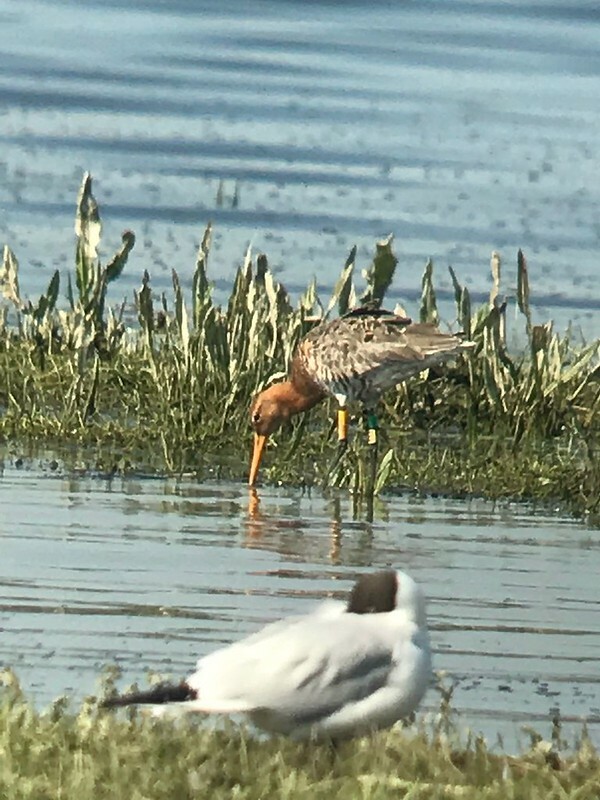 Delph's egg was collected from RSPB Nene Washes in April 2017, and hatched at WWT Welney on 11 May 2018. 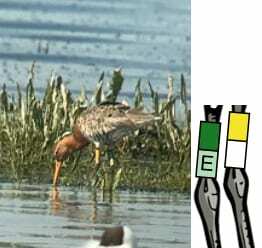 Delph was released on 12 June 2017 at WWT Welney alongside 24 other young godwits. Delph is the brother of Manea and Lady. 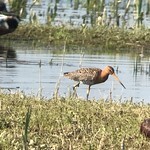 Delph was the first headstarted black-tailed godwit seen back at the project sites in 2018. February 2018. 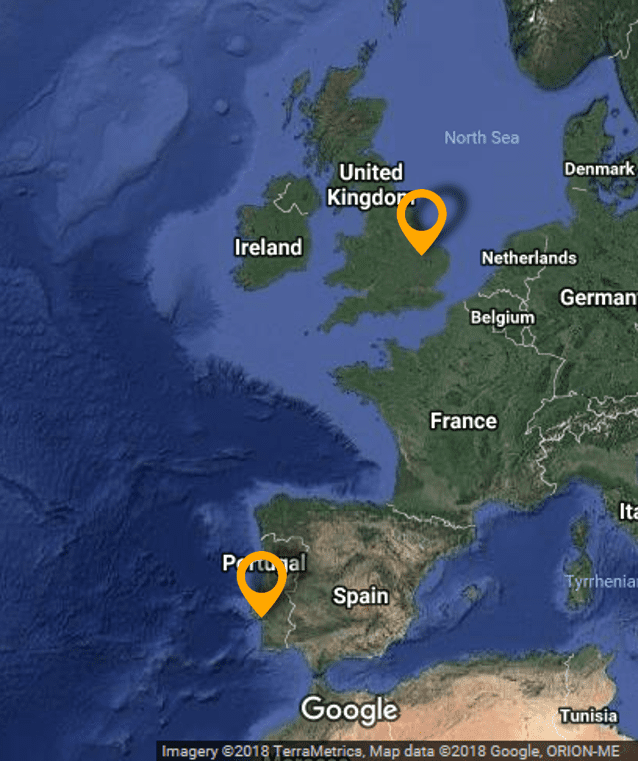 He is seen at two sites in Portugal, near the Tagus Estuary. April 2018. He arrives at the Ouse Washes. May and June 2018. He spends the summer on the Ouse Washes and Lady Fen. April 2019. 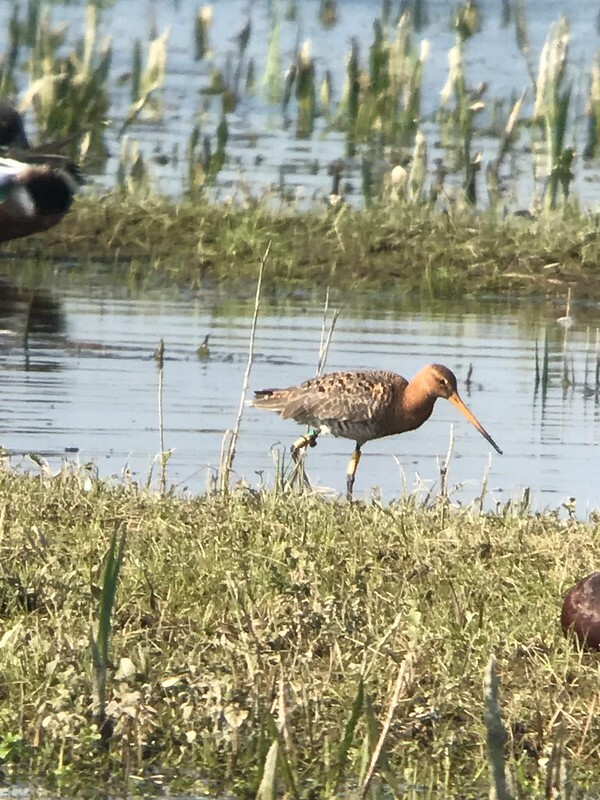 He's spotted back at Lady Fen. Will Delph find a mate for the 2019 breeding season? Delph was named after the River Delph, a river that runs between the New and Old Bedford Rivers. When Delph was first spotted back at the Ouse Washes, the bank of the River Delph was just behind him.